Galaxy S4 Manual for Verizon Wireless is the official documentation on how to setup and use your Verizon Wireless version of Samsung Galaxy S4 (SCH-I545 ). In this page, you can download or read online the English and Spanish version of the Galaxy S4 Manual for Verizon (in PDF). You can save (download) the PDF version of Galaxy S4 Manual for Verizon on your local PC, tablet or mobile phone. You can read it with any PDF reader or print it out. You can directly read this Galaxy S4 Manual for Verizon (PDF) online on this page with the embedded Google viewer. If you want to read the HTML version of the Samsung Galaxy S4 Manual, you can check our Galaxy S4 Online User Manual. 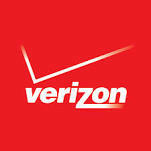 Galaxy S4 Manual for Verizon (PDF) is for Verizon Wireless version of Samsung Galaxy S4 (SCH-I545) . If you own other models of Samsung Galaxy S4, please check the Samsung Galaxy S4 manual page to find the manual for your model. If you are an AT& T customer, your Galaxy S4 model should be SGH-I337. Please check the AT&T Samsung Galaxy S4 Manual page. If you are a customer of T-Mobile or MetroPCS, you Samsung Galaxy S4 model number should be SGH-M919. Please check the Samsung Galaxy S4 Manual for T-Mobile page. Read Samsung Galaxy S4 Manual for Verizon (PDF version, Verizon Wireless, SCH-I545, English and Spanish) online with embedded viewer below. If you prefer HTML version of the Samsung Galaxy S4 Manual, you can check our Galaxy S4 Online User Manual.